Watch full first episode of "Kuwentong Gilas" (Video) - Balita Boss! Watch full first episode of "Kuwentong Gilas" that aired on TV5 on February 17. "Ang Kuwento ng Gilas, Kuwento Rin Nating Lahat." 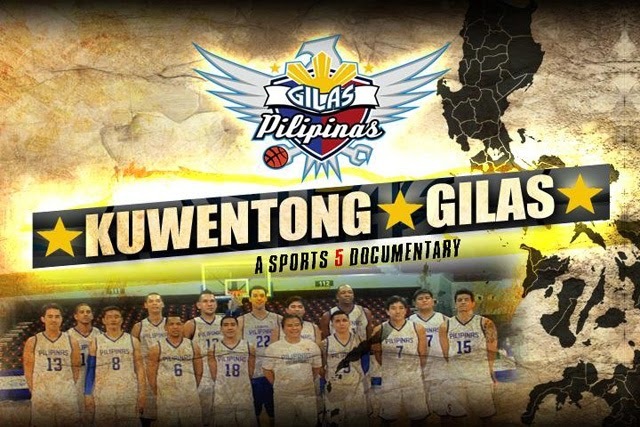 Kuwentong Gilas is a sports documentary that gives us the real drama of Gilas Pilipinas' unforgettable journey during the 2013 FIBA-ASIA Championships.